OK… that’s really not the truth. Do you wanna know the REAL reason? You sure? It’s because I’m usually am ready to be DONE with the whole garden-thing come October. 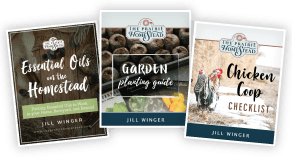 Yes… Jill-the-Homesteader-Girl just admitted she gets tired of gardening sometimes. You can forgive me for saying that, right? So yeah, I usually rather enjoy the down-shift from all the crazy summer chores as we transition into fall. But considering how my gardening has become so much easier thanks to the deep mulch method, I am kinda excited to plan a bit of a fall garden this year… Providing my very pregnant self can still bend over to shove some seeds in the dirt. 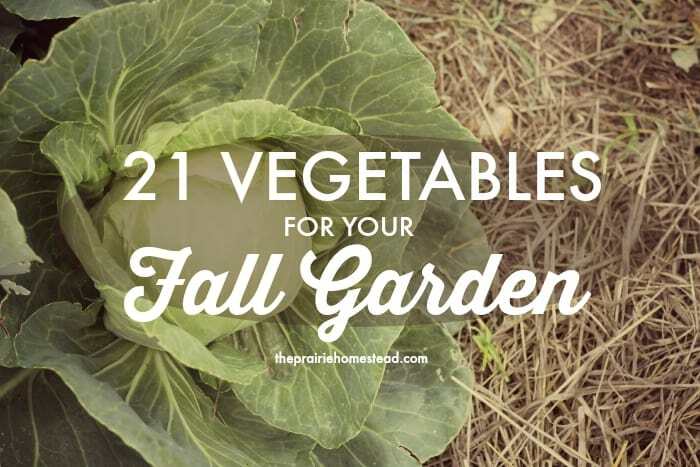 I’ve been looking at which veggies I want to add to my fall garden rotation and which ones will hold up best with our erratic Wyoming winters. I’ve collected this list of fall vegetable options, just in case you’re not quite ready to give up gardening season either. 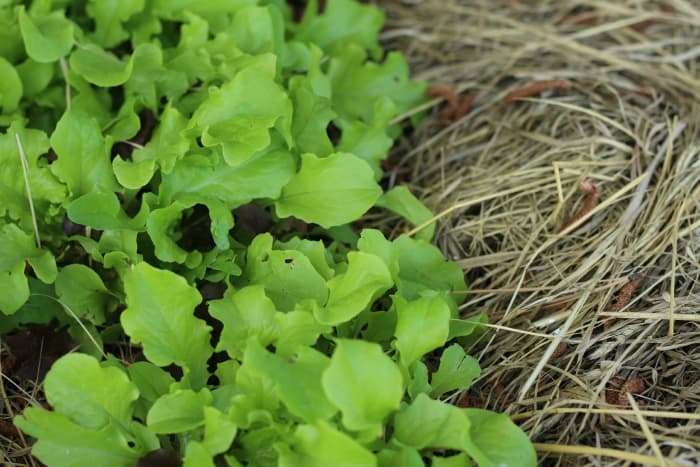 When to Plant: Plant Lettuce 4-8 weeks before the first frost. It grows best within a temperature range from 45 to approx. 75 degrees. Full sun to partial shade. Cold Hardiness: This is a half-hardy vegetable that you can keep growing all season long by planting one small crop at a time. Hot weather makes it bitter and extreme cold freezes it. Other Notes: If you use a cold frame or row cover, you can grow lettuce through the winter in most garden zones. When to Plant: Begin planting Kale 6-8 weeks before the first frost. You can continue planting them throughout the fall in garden zones 8-10. Full sun to partial shade. Cold Hardiness: Kale is a hardy vegetable. Their leaves are actually sweeter when they can mature in cooler weather. Frost enhances their flavor, and they are super tasty if harvested under a foot of snow. Other Notes: If your fall season has a random hot spell, your kale might sulk a bit, however, when it gets cool again, those kale plants will revitalize quickly. When to Plant: Plant Collards 6-8 weeks before the first frost. In zones 8-10, you can grow them through the entire winter. Full sun to partial shade, though you should give them 4 hours of sun for the best flavor. Cold Hardiness: Collards are one of the most cold-hardy vegetables. Like Kale, the flavor of the leaves improves after a frost. Other Notes: Collards are heavy feeders since they produce so many harvestable leaves. Make sure to give them a rich soil in the beginning and regular feedings throughout the season. When to Plant: Plant Mustard Greens 3-6 weeks before the first frost. Consider planting seeds every 2-3 weeks for a continual harvest. Full sun to partial shade. Cold Hardiness: Mustard Greens are hardy, but not as hardy as collards and kale. They will tolerate a light frost, which makes their leaves sweeter. If you do not have killing freezes in your area, you can enjoy them all winter long. Other Notes: Like Collards, Mustard grows very fast and produces many leaves for harvest. You must give them a rich and continually moist soil for optimal growth. 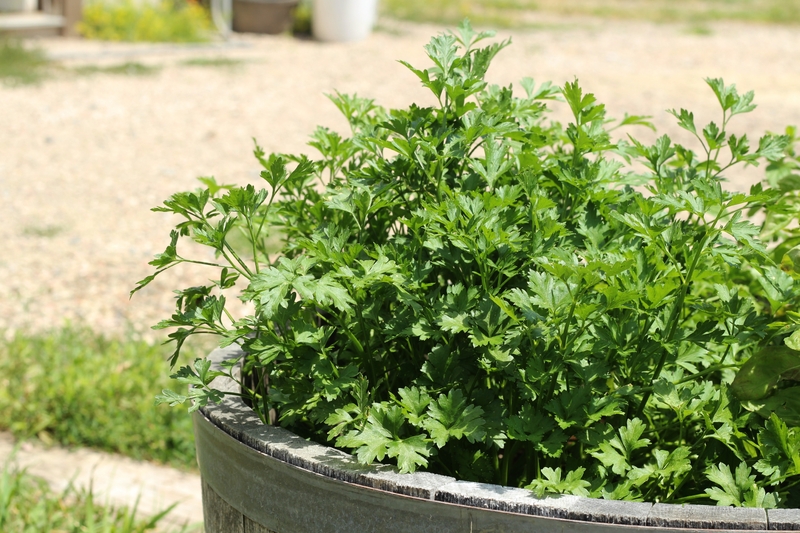 When to Plant: Parsley takes about 70-90 days to grow before you can begin harvesting. Full sun to partial shade. Cold Hardiness: It is a hardy biennial: in mild climates, you can harvest parsley all year round and in the second year, it will send up a flower stalk and become too bitter to eat. It can survive the cold, but unless you protect it from snows and hard frosts, it might die back in the winter. Other Notes: Parsley is fussy with germination. Soak the seeds 24 hours before planting for a higher success rate for germination. Helpful Links: How to preserve your herbs (including parsley) in salt. When to Plant: Arugula is ready to harvest 30-40 days after planting. Consider planting Arugula every 2 weeks for a continual harvest. Full sun to partial shade. Cold Hardiness: This peppery leaf is a tender annual. Arugula hates heat, which makes it bolt, and it also gets heavy damage with hard frosts and snow. Row covers can help your Arugula last longer in the season. They can survive winters in zone 7 or even zone 6 if under a row cover and thick mulch. Other Notes: If you pick only the outer leaves, the plant will keep growing, which means each arugula plant will yield a large harvest for you. When to Plant: Plant Spinach 4-8 weeks before your first hard frost. Full sun to partial shade. Cold Hardiness: Spinach is a hardy winter vegetable; it can survive temperatures below freezing IF the plant is grown to its’ mature size beforehand. They will have a higher success rate in colder garden zones with a cold frame or row cover. Other Notes: Harvest the outer leaves only and your spinach plants will continue to give you harvests throughout the fall and winter. When to Plant: Swiss Chard should be started 10 weeks before your first frost date. It’s best to start them indoors and set the seedlings out when they are 4 weeks old. Full sun to partial shade. Cold Hardiness: It is a hardy vegetable since Swiss Chard can tolerate light frosts, however, it cannot tolerate deep freezes like collards and kale. Other Notes: You can harvest anytime the leaves are large enough to eat. The young small leaves are the most flavorful. 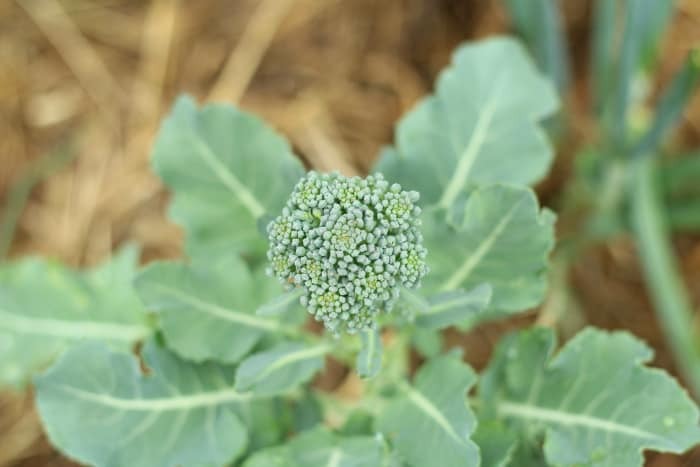 When to Plant: Broccoli should be started indoors 85-100 days before your first frost date. 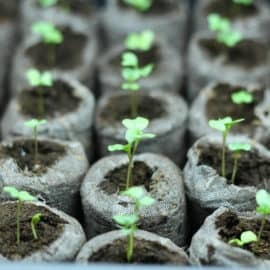 Transplant to your garden when your plants are 3 weeks old. They prefer full sun. Cold Hardiness: Broccoli is a hardy vegetable. It is very tolerant of cold temperatures and will survive many hard frosts. In mild climates, Broccoli might survive all winter. It does not like temperatures over 70 degrees. Other Notes: Make sure to give your Broccoli plenty of constant water, they need steady moisture for optimal growth. When to Plant: Brussels Sprouts should be planted 85-100 days before your first frost. You can either directly sow the seeds into the garden (cooler climates) or start them indoors and transplant (warmer climates). They need full sun. Cold Hardiness: These are some of the hardiest vegetables from the Cole Crop family. Brussels Sprouts can survive freezing temperatures and even some snow. Other Notes: Wait until after your first frost to start harvesting your Brussels Sprouts because frost improves the flavor of your Sprouts. When to Plant: Start your Cauliflower seeds indoors 12 weeks before your first frost. Transplant them outdoors 6-8 weeks before the first frost. They need at least 6 hours of sun a day, however, some shade during the heat of the day is good too. Cold Hardiness: Cauliflower are a challenging half-hardy vegetable. They are more sensitive to both cold and heat than most cole crops. They are only frost-tolerant if the heads are mature before a deep freeze. You should harvest them after a deep freeze so you don’t risk losing your crop. Other Notes: Make sure your Cauliflower gets steady moisture: not too much or too little in order to get the best crop. You might find it beneficial to plant a few plants each week to get the best possibility of a good harvest. When to Plant: Kohlrabi should be started 6-10 weeks before your first frost. If you sow your seeds directly, sow them 8-10 weeks before the frost date; if you start them indoors, start them 6-8 weeks before the frost date. They need full sun. Cold Hardiness: These are a hardy vegetable. 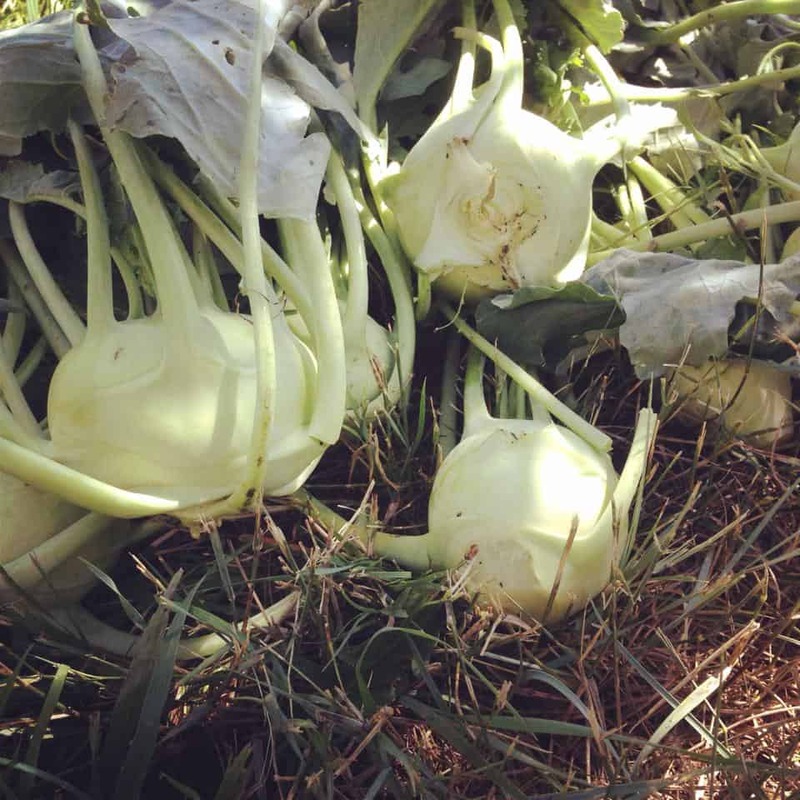 Kohlrabi is more hardy to hot weather than many Cole crops and they will survive light frosts. Other Notes: Kohlrabi is a great vegetable for most fall gardens because they are mature very quickly: in 65 days, you can harvest them. When to Plant: Plant your bunching onions 8 weeks before the first frost date. It is best to start them indoors and then transplant, however, you can try direct sowing as well. Full sun to partial shade. Cold Hardiness: These are a very hardy plant: if given some protection from severe winters, they can survive below freezing temperatures, frosts, and snow just fine. When to Plant: Start your Leek seeds indoors 8-12 weeks before your first frost date. 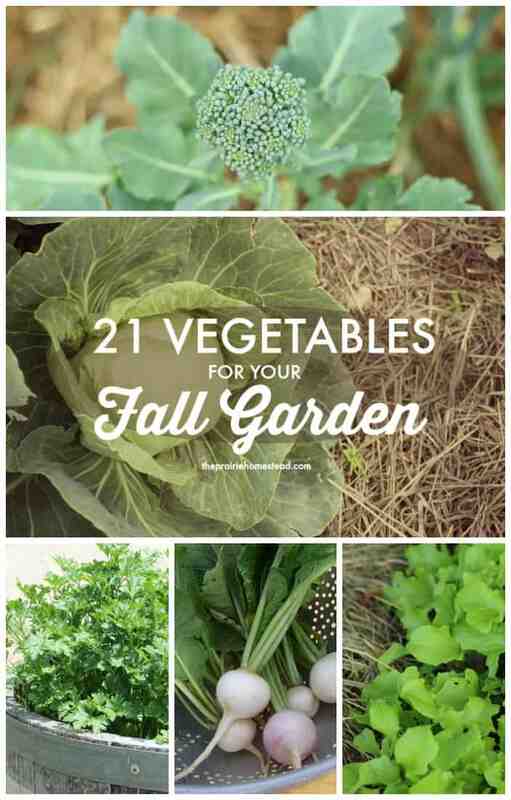 Make sure you get a variety that works for fall and winter harvests. They need full sun to partial shade. Cold Hardiness: Leeks are a very cold-hardy plant. In places with mild winters (zone 7-10), you can harvest leeks all winter long. In colder areas, you need to mulch deeply around the Leeks (around 1 foot deep) because you do not want your leeks to become frozen in the ground. Other Notes: Leeks taste better if grown in cooler weather. Make sure you blanch your plants as they grow by covering up their stalks. When to Plant: Start your Cabbage plants indoors anywhere from 6-12 weeks before your first frost. You can narrow this time down depending on the early/late Cabbage variety you have chosen. Transplant to the garden when they are 3-4 weeks old. They prefer full sun. Cold Hardiness: Cabbage is a hardy vegetable that can tolerate frost very well. They will keep thriving through frosts and temperatures as low as 20 degrees. 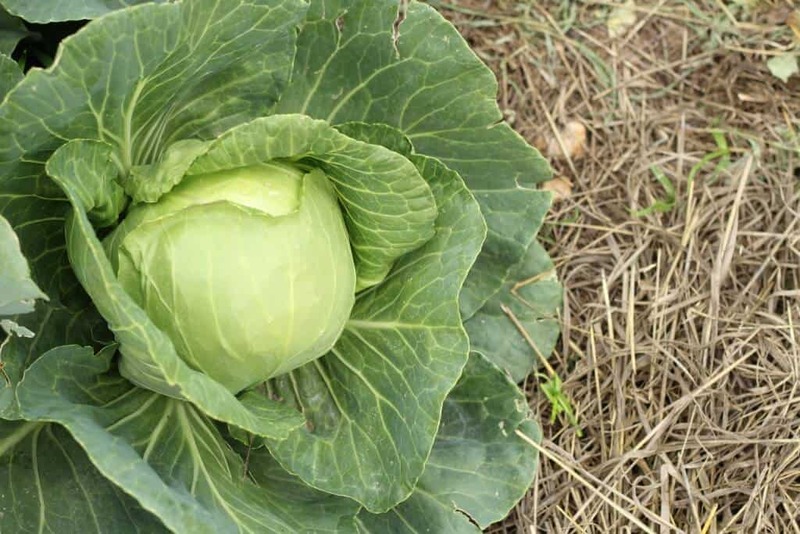 Other Notes: Cool temperatures and constant water will give you deliciously sweet Cabbage. Uneven watering might result in stunted growth or cracked heads. When to Plant: You can plant next year’s garlic harvest anytime in late fall when your soil is around 50 degrees F. The trick is to plant it before your ground freezes over. An approximate time is 1-3 weeks before your first frost date through 2-3 weeks after your first frost date. Full sun to partial shade. Cold Hardiness: Garlic is a very hardy and easy plant to grow. Make sure you plant the best garlic for your garden zone: Hardneck varieties are best for zones 3-6; softneck varieties are best for zones 5-9. Other Notes: Garlic takes almost 1 year to grow, but the long growing season needs very little work from you: plant in the fall, eat or cut the garlic scapes in the spring, harvest next fall when the leaves turn brown, cure for 2-3 weeks. Then enjoy! 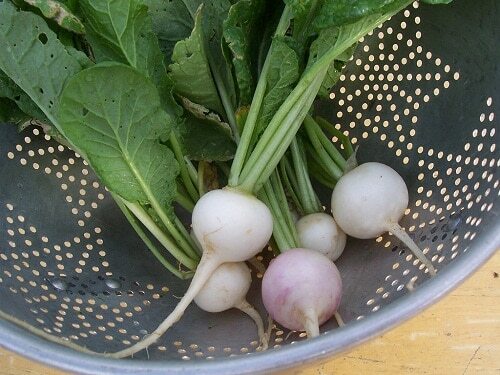 When to Plant: For a fall harvest, plant Turnips about 2 months before your first frost date. Full sun to partial shade. Cold Hardiness: Turnips are a hardy vegetable; they can tolerate light frosts and can continue through early winter if you cover them with a thick mulch. Other Notes: Since Turnips are a root vegetable, you need to harvest them before the ground becomes frozen. 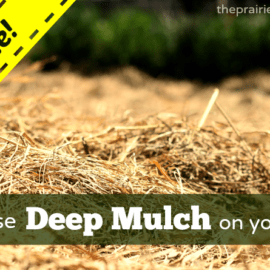 Of course, a thick mulch will help slow down the ground becoming too frozen. When to Plant: Beets should be started 10-12 weeks before your first frost date. Full sun to partial shade. Cold Hardiness: Beets are a hardy vegetable. They can handle light frosts and can survive winter with some row cover protection and heavy mulch in garden zones 6 and higher. Other Notes: You can eat the beet greens anytime while they are growing. They taste best when they are still small, around 4-5 inches long. Only pick a few leaves from each Beet plant so that you don’t stress the plants. When to Plant: Plant your radishes 4 weeks before your first frost in the fall. Cold Hardiness: Radishes are a cold hardy veggie and can tolerate a decent amount of frost. Many winter varieties are also early maturing, so you’ll probably be able to harvest even before the temps really drop. Other Notes: Radishes are easy to grow and mature quickly, so be sure to check them frequently and don’t leave them in the ground too long. When to Plant: Peas can be a challenge for fall gardens because you have to take a bit of a gamble on the weather. You might get an unexpected heat wave or an early hard frost, both of which can damage your fall Pea harvest. You can to plant your peas so that the first flowers appear before the first frost of the fall season. Depending on the variety, you should start your fall Peas 70-90 days before your first frost date. They prefer full sun to partial shade. Cold Hardiness: Peas are a half-hardy vegetable: heat will damage them, but they will tolerate light frosts (if they are at least somewhat mature plants at the time of the frost). Other Notes: For a good fall crop, you need to give extra care to your Peas during the late summer heat by giving them some shade and lots of water. When to Plant: For a fall crop of Bush Beans, start planting them 10-12 weeks before your first frost date. Try planting in small batches every 10 days for a steady crop of beans. Make sure to grow a variety of beans that grows quickly, around 45 days to maturity. Cold Hardiness: Bush Beans are a tender annual vegetable. They will be finished producing beans with the first frost. They can also be damaged by cold temperatures. You can often prolong your harvest season with row covers and heavy mulch. Other Notes: Many people say that the flavor of bush beans is tastier in fall beans rather than those grown in spring. The soil temperatures will probably be hotter than your bean seeds prefer when you try to plant them. Regular watering and heavy mulch can help keep that soil cooler for better germination rates. 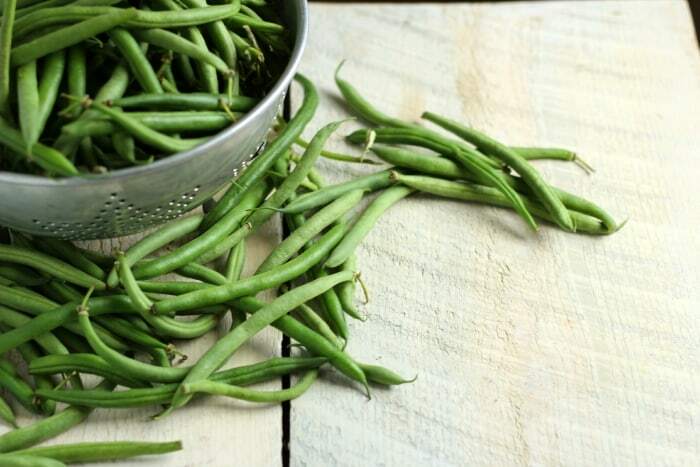 Most people will agree that the flavor of the fall-grown green beans far exceeds that of those produced in the spring. Thanks for taking the time to detail all this out, it is very informative. Did I read right that you’re pregnant? Either I’ve been missing something or this is a re-post?? Yes– I am currently pregnant with #3. 🙂 Due end of October. I haven’t talked about it a whole lot, so not surprised if you missed it! Congratulations!! So happy for you!! My first one is almost 4 months old and I am already beginning to have that itch again ? Congrats!!! I want to thank you for all the great tips and information about everything. I used your crockpot roasted chicken recipe and we loved it. I do have a summer garden right now and I will probably plant somethings for fall. I keep my two year old grandson during the week and he lives to help in the garden. It’s so cute how fast they learn about picking the garden. He loves the yummy veggies we pick. We got to teach them young. ? I grow a Fall garden as well. I cover some of my garden (lettuce, spinach…) before the first frost, and the rest survives here (zone 7b) during the Winter uncovered (carrots, kale…). 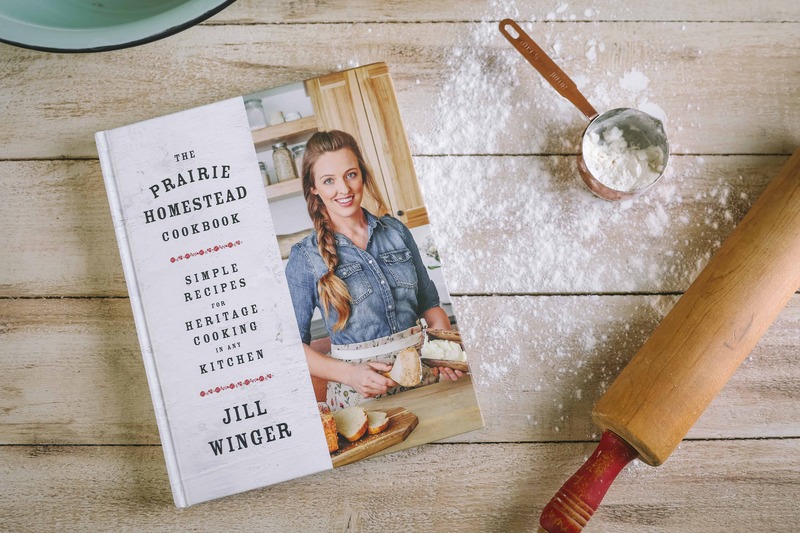 Love your blog and newsletter Jill. I appreciate all the hard work you put in to share with us. This week’s newsletter talked about butchering laying hens and roosters as opposed to meat chickens. It appeared the comments were closed so I am leaving it here. I simmer my stew birds for 48 hours, roughly. I even will shut it off at night and bring it to a boil the next day for 10 mins and then back to a simmer for another long period. Then I pick the carcass apart and put the bones either back in the pot or in the oven to roast and then back in the pot to simmer for another 24 hours. By then I just have to strain the bones and if it needs more reducing, let it do so until I have liquid appropriate for a bullion, which I put in ice cube trays and freeze or on dehydrator trays (for fruit leather) and dehydrate. I have canned it in the past but I don’t care for the flavor it imparts. Sometimes I put the meat and condensed broth in a mason jar and can that so that I just need to add water and veggies. I also can’t urge you enough to butcher your chickens with a cone and if you don’t have a plucker, check out The Deliberate Agrarian’s website to his Whizbang Chicken Plucker. You can buy the parts from him or just the instructions, which is a work of art in itself, and you can make a tub style plucker for a 1/3 of the cost of a Featherman. He also has a wonderful web page which is how I got into chickens. Fall garden. Yup, know how you feel. I know it is important, for a number of reasons, but by August, I am ready to move on. Although, I started using a woven poly fabric that is guaranteed to last at least 10 years and it has been a WONDER! My plants are doing the best ever and no weeding except some very minor stuff at the plant openings. No slugs and no significant other pests…knock on wood. I have used the deep mulch, cardboard and seedless straw, and grass clippings methods. They all worked but still had weeds poking up here and there. This woven poly….NO WEEDS.. picked up this idea from The Deliberate Agrarian. Again, thanks for all your hard work in sharing your journey and info with us. Much appreciated. Oh yeah, I know there will be some folks squealing about the length of time of the stew birds on the stove or that I turn them off. So, I can’t recommend that for anyone else but it makes a deep rich broth that I cannot get without this method. So caveat emptor. This sounds like a crockpot situation. At this time we have electrical power, so I am scandalously dependent on this appliance. Are you turning off and restarting your batch because after such a long simmer, it might scorch or are you on wood fuel? Fantastic tips Pam– thanks for sharing your wisdom! Thanks! Our weather is undergoing massive shifts from what it used to be, so I have no idea when to expect our first frost (or whether we’ll have any frost this year). Is there a handy tool for guessing? I’m in the PNW, zone 8b. Same here Beth– bizarre weather this year. If you google it, you should be able to find a number of frost date charts. Great minds DO think alike – I just posted my own fall gardening tips this morning. Down here we’ve had very poor luck with Brussels sprouts, but most of the rest of your list loves the fall. Mustard always does excellently, and kohlrabi just looks cool as heck. 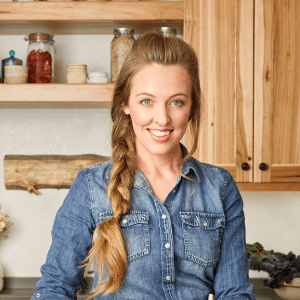 Awesome– and yes, I agree about the kohlrabi! Yes! I’m fairly new to kolhrabi, but love it– especially raw! Turnips are not just a root crop. The leaves are wonderful. Leaves and roots together are superlative. Season with some fresh pork, and boil for a couple of hours. Be sure to wash the greens several times to get every little bit of dirt washed away. I’m a beginning gardener. I haven’t planted a fall garden before, because of that exact reason. It seems this year especially, due to the drought, I’m just done with watering, fighting the insects, and pulling the weeds. Sometimes for just a few minutes I think is it all worth it. However, I know when it’s almost Spring I’ll be daydreaming about my hands in the soft, cool soil, and all the wonderful veggies I plan to plant as soon as the threat of frost is over. Hope your fall garden is bountiful and wonderful. Also, that your new little one is wonderfully healthy and happy. Down here in FL, fall means we can finally plant again–almost nothing grows well here in the summer, between the bugs and the heat (sweet potatoes have been my exception). The hard part is getting myself motivated to get out there and get the beds weeded and prepped when it’s still over 90 degrees most days. Where is the best place to buy seeds, I’m afraid Ill be buying GMO seeds. How can you tell if they are GMO? I get mine from rareseeds.com (Baker Creek) they are non-GMO, heirloom, and organic. I started my broccoli and cabbage inside and put them out about 3 weeks ago. I have to cover them with my floating cloth because of the rabbits. They are looking good. Spinach hasn’t done well yet but starting to emerge a little better. We are putting a makeshift greenhouse around everything this weekend to see if we can survive the winter here in the northern Colorado are NW of Denver. It has been HOT here so far, still 90 degrees but expecting a cool down next week and just maybe our first frost. Late! We were pretty much wiped out twice this year with hail storms so our tomatoes are just now coming on and are also covered because of continued hail threats. But that will also protect them from that first frost if it isn’t too hard. Thanks for all the good information. Made my first sauerkraut from your recipe and everyone loves it. Should do more but I get tired of all the pounding and pounding and pounding:) Congrats on #3! We had access this year to a second garden about five miles away, for which we are very thankful in many ways. It let us experience how the bug level dives after chickens have been pastured in a garden. 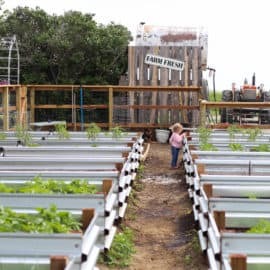 It was also better drained and large enough to experiment with deep mulch (that wasn’t half drowned all spring) and grow the best pole bean, summer squash and winter squash crops I have harvested in years. We had the time to do some re-organizing in our own garden and gami confidence in deep mulch merits to be very excited about next year’s potential. And we too, after the extra travel, scheduling issues, wacky weather windows and hauling of tools back and forth, as well as the major leap in volume of food to process are kind of ready to quit picking already! Nonetheless at the end of September our temps are still pretty close to average summer weather so it looks like the fall crops we planted may actually make it to harvest.. One of the things I usually do to make hopping back into the garden when fall hits is to plant a good selection of flowers that will take a few frosts, so the garden still looks inviting. Not only do I get to pick the fall crop, but also bouquets of flowers to keep a summery look inside while lingering over another slice of pumpkin pie! Calendulas will come back well after some frost. I am still figuring out what flowers and herbs will linger on in Zone 3, Zinnias and marigolds will hang in for not quite so much cold. My Quinault everbearing strawberries are still blooming away. Planned for next year are day-lily beds and if cash permits, a few roses. By next year we will have finished our solar greenhouse, so our gardening season will be even longer. We’ll have to steel ourselves to tolerate the extra fun, food and tedium a little longer! Thank you for all your support and expertise. I am new to organic, non-gmo gardening. I planted a spring garden by seed this year. 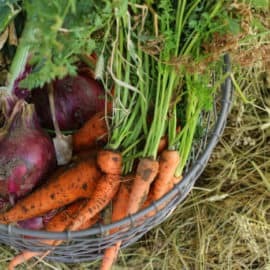 As you recommend and encourage a fall garden are you referring to planting by seed or all vegetables and herbs are to be planted only by seedlings? Thank you for your time and consideration to answer my question. My fall garden this year is all being planted by seed. Thanks for being a reader! Thank you so much! I was going to plant my fall seeds now, but upon reading your article, I now know I need to first find out what my area’s average first frost day is & plan around that. I’ve pinned this article to my Pintest account!! Wish I had found this before the fall. this is my first ever garden and I had fun in the spring and summer. I did experiment for fall and winter with no idea of what I was doing. The broccoli and cauliflower did well. Then the sever cold hit, no snow or ice, just very low temps. The red cabbage is questionable if it will survive, the kohlrabi is gone, the brussel sprouts seem to have lived. There are a few garlics showing up, and I noticed that some of the spinach I had planted had started to come back. All of this is in raised beds. And I am learning as I go. Loving being about to harvest my groceries from the soil instead of Sprouts.